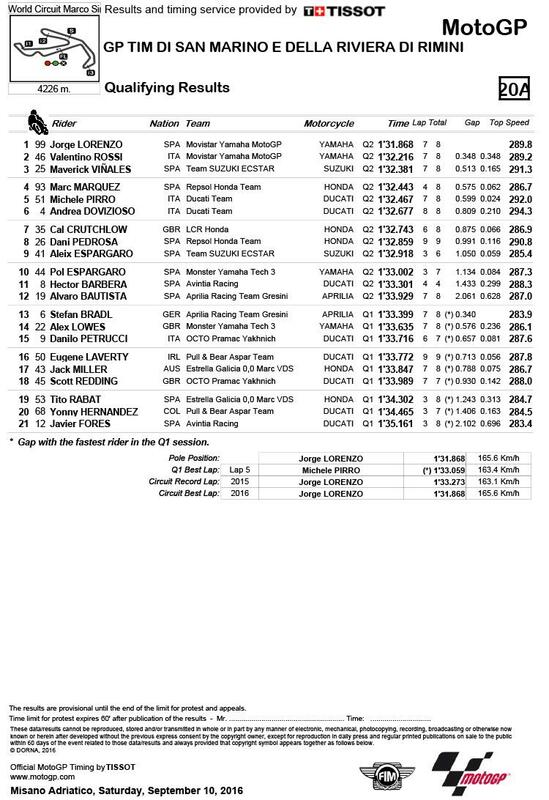 Jorge Lorenzo has demolished his own Misano lap record to secure pole position for tomorrow’s San Marino Grand Prix, setting not one but two laps under the old record to end the day 0.3 ahead of teammate Valentino Rossi. 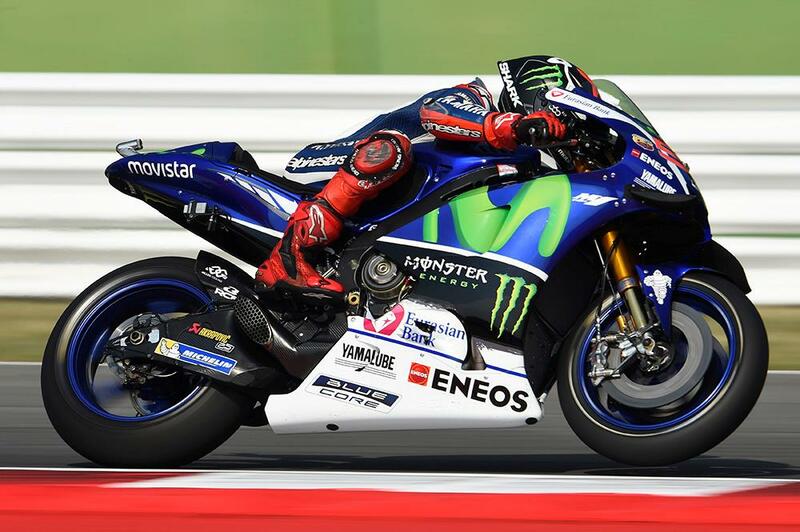 Lorenzo controlled the session, setting laps under the lap record on both his first and second runs of the 15-minute session to ensure his first pole position start since Le Mans back in May. Rossi pulled out an impressive lap to go second, despite losing another lap thanks to exceeding the track limits, while Maverick Viñales rounded out the front row. Marc Marquez was the first Honda in fourth, leading an impressive ride from Ducati wildcard Michele Pirro and the remaining member of the squad Andrea Dovizioso, after teammate Andrea Iannone failed a medical examination this morning. A disappointed Cal Crutchlow was the best of the satellites in seventh, ahead of Dani Pedrosa, faller Aleix Espargaró and with Pol Espargaró rounding out the top ten. Alex Lowes was a stunning 14th as he continues to replace the injured Bradley Smith at Monster Yamaha Tech 3, while Eugene Laverty was 16th and Scott Redding a distant 18th.